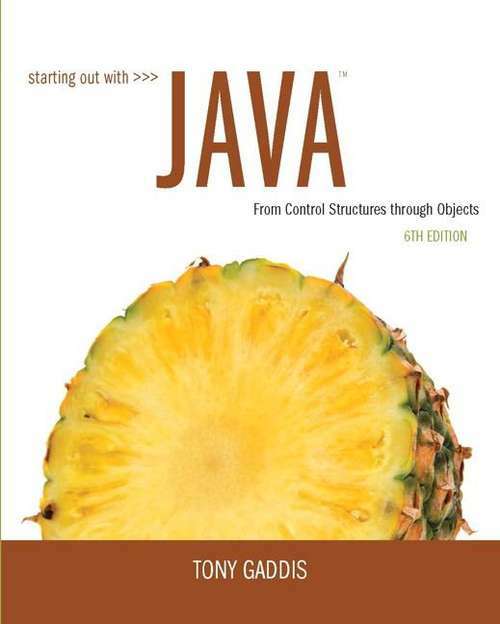 For courses in computer programming in Java Starting Out with Java: From Control Structures through Objects provides a brief yet detailed introduction to programming in the Java language. Starting out with the fundamentals of data types and other basic elements, readers quickly progress to more advanced programming topics and skills. By moving from control structures to objects, readers gain a comprehensive understanding of the Java language and its applications. As with all Gaddis texts, the Sixth Edition is clear, easy to read, and friendly in tone. The text teaches by example throughout, giving readers a chance to apply their learnings by beginning to code with Java.